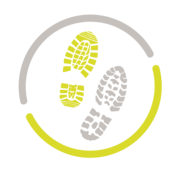 Walkin' In My Shoes is committed to helping individuals and families regain their dignity, hope and rightful stance in society. Our mission is to decrease the homeless population in the nation by networking with public, private, religious and other organizations to form strong alliances supporting the efforts of those who want to have and who deserve a better life. Walkin' In My Shoes is a 501c 3 nonprofit charitable organization in Kenosha. Walkin' In My Shoes, Inc. is to provide the homeless with sleeping bags, food and other necessities needed for proper care. To provide wraparound services to the unsheltered homeless youth, veterans, seniors, and families living a life on the streets of Kenosha, Wisconsin. Advocate for Individuals and families to have immediate access to an emergency shelter designed to assist them further transition from homelessness to self-sufficiency. Increase collaboration between community agencies to reduce barriers among individuals and service providers. Advance public awareness of social services available in the community for people at-risk of being homeless. Increase skill-building activities that promote self-sufficiency. Create a database to reduce the number of duplications among agencies. We are looking for supporters of this cause in an effort to help people move beyond shelter into permanent housing. I hope you will join Walkin' In My Shoes in this humanitarian effort to end homelessness in America. Help End Homelessness In America by becoming a Sponsor to provide a Survival Backpack. Questions or problems regarding this web site should be directed to webmaster@walkininmyshoes.org.